The new Dodge SRT Viper GTS is a hotly anticipated vehicle, one that anyone who loves sports cars would want in their garage. One such fan was lucky enough to snag the first production model. The catch to owning it however was that it was placed on auction. The best part, however, is that the winnings were donated to charity. The chance to own the first Dodge SRT Viper GTS ended up bringing in $300,000 which will be given to the Austin Hatcher Foundation for Pediatric Cancer. 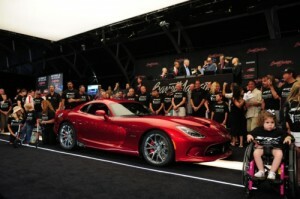 The production of the new Viper is slated to begin later this year at the home of the Viper at the Detroit Conner Avenue Assembly Plant. 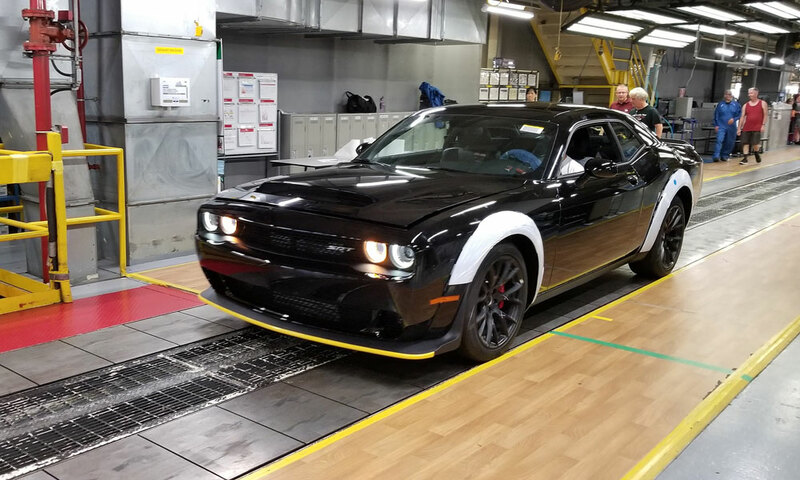 It is being reborn with a emphasis on more power and more performance with an 8.4 liter V-10 that is able to produce 640 HP and 600 lb-ft of torque. Bayside Chrysler Jeep Dodge has all of Dodge’s line-up available for viewing on their website. Be sure to like us on Facebook and follow us on Twitter so that you can see the latest deals and news as soon as they happen!